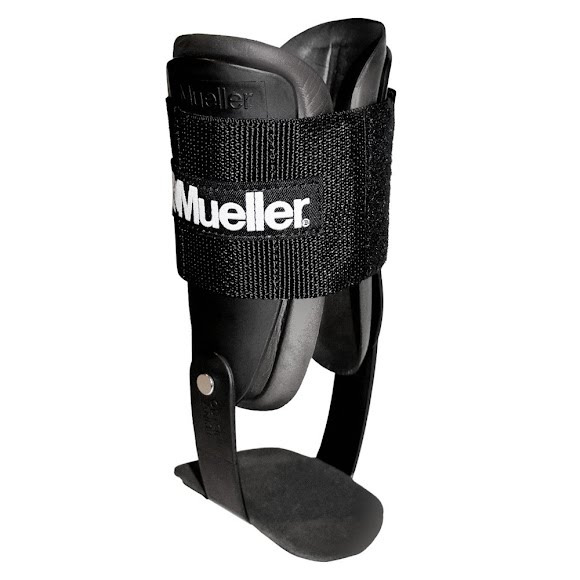 Padded, semi-rigid shells help protect against inversion/eversion sprains. One strap with hook and loop fasteners for easy on and off. Pivot points allow full mobility and ankle flexibility. Extremely lightweight and comfortable - fits in any style shoe. Fits left or right . Place brace inside shoe first. Brace imprint indicates outside of ankle for proper placement. Secure shells with the adjustable top strap. Allow brief break-in period while brace adjusts to your ankle.